Picture Farm Gallery, is the more passion-project face of Picture Farm Production, a commercial photo, video & content production company. The photographers in the show are culled from the photo assistants, assistant editors, producers and filmmakers who flatter our daily working life in so many other roles. 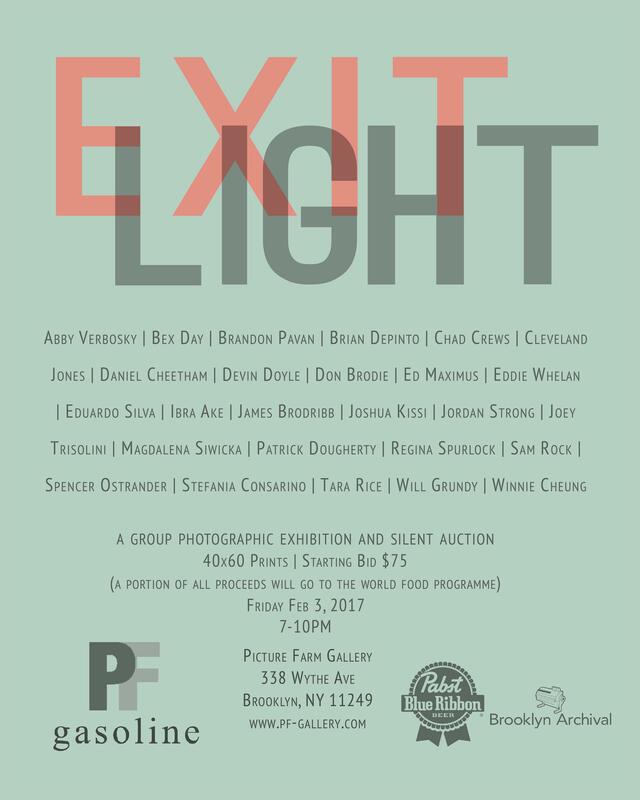 Picture Farm’s Cleveland Jones and Stefania Consarino have teamed up with the photo collective Gasoline to curate the show, which will be a silent auction on opening night with all proceeds going to the artists and to the World Food Program.